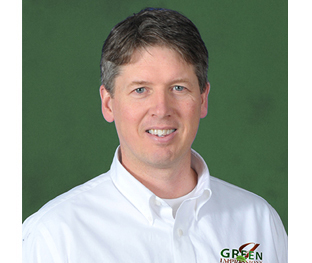 Jim Louth, a native of Avon Lake, comes to Green Impressions with over 30 years of Green Industry experience, including 10 years with industry giant, Brickman Group. Prior to that Louth served as VP for the Omni Landscape Group -Mid-Atlantic Region and for 10 years as a partner in Spring Gardens, Inc. a high-end residential design, build / maintenance firm located in Maryland. Jim’s vast experience and leadership skill sets will be instrumental in the Green Impressions’ regional landscape service and growth strategies. Jim is responsible for leading all production aspects of the residential landscape design, installation and maintenance processes with a focus on profitable growth and optimum use of resources while ensuring a superior client experience. While not working Jim enjoys spending time with his wife, Barb and chasing his two sons around to their sporting events and jet skiing on Lake Erie.